On Tuesday next week on August 8, 300 people were killed and 650,000 displaced. The elections in Kenya have sparked fear of violence across the region, especially in land-locked countries like Uganda that depend on the country as the gate-way for their import and exports. In Kampala, traders have been stocking up on supplies to cater for any eventualities. The Minister of Energy in Uganda, Irene Muloni, said the country has sufficient reserves of oil in the situation where supplies are cut off. The Kenya party primaries in April were fraught with violence and rights’ abuses, and public confidence in many of the institutions designed to alleviate these tensions, is low. The recent murder of Chege Msando, the Independent Electoral and Boundaries Commission’s (IEBC) Acting Information and Communications Technology Director, has further raised suspicion and tension that the August 8 poll will be marred by violence. Human Rights Watch has warned the different parties to urgently investigate the killing of Msando. Msando was a key official at IEBC. He was one of a handful of officials who had the electoral commission’s computer system passwords and knew the exact location of the servers to run the election. Observers say that next week’s poll will mostly be a repeat of the 2007 elections in which Uhuru Kenyatta, now the incumbent, defeated veteran politician, Raila Odinga. The violence resulted into a monumental case at the International Criminal Court at The Hague, The Netherlands. Uhuru is running under the banner of implementing successful infrastructure projects including the Standard Gauge Railway as well as several other major roads. But Odinga has accused the incumbent government of gross corruption and has promised to uproot it. 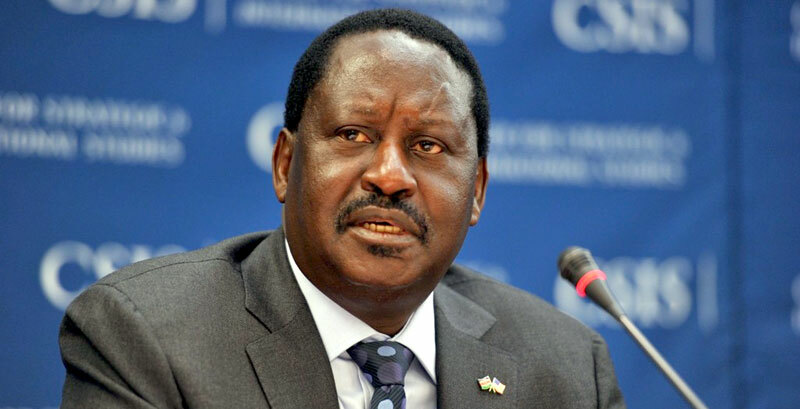 Recent polls have showed Odinga to be ahead at 53% against 47% for the incumbent. But many believe the power of incumbency coupled with Kenya’s deep-rooted tribalism will again give Uhuru victory.